El Güegüense made its debut in 2015 as Foundation Cigar Company’s first release. The cigar is a Nicaraguan puro that is produced in five sizes out of Casa Fernandez’s TABSA factory. The new El Güegüense Lancero becomes the sixth vitola in the El Güegüense Lancero line. The cigar will measure 7 1/2 x 40. 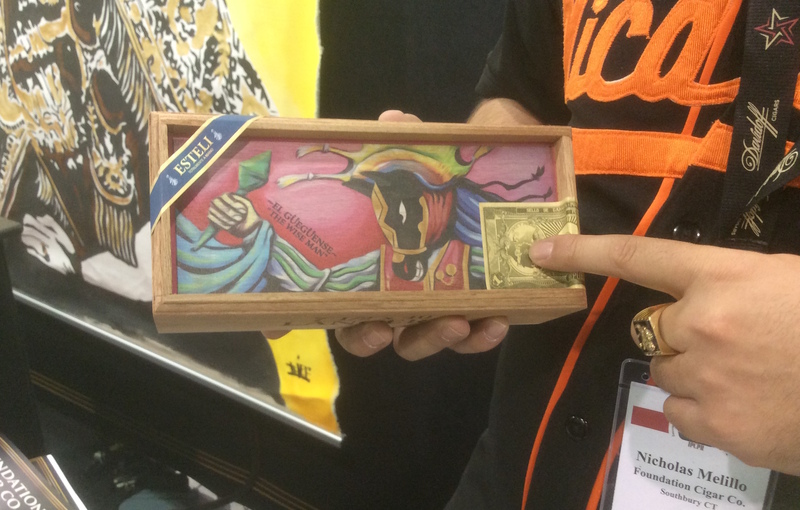 The packaging to the El Güegüense Lancero will differ than the rest of the line. While the El Güegüense line comes in 25 count boxes, the Lancero size will come in a 13 count wooden box. The boxes will feature a special laser-printed image on the box. A total of 250 boxes have been produced. As mentioned, the blend of El Güegüense is a Nicaragua puro. The blend incorporates Criollo 98 and Corojo 99 tobaccos from Jalapa and Esteli. Torpedo: 6 1/4 x 52.